Creating effective hashtags is not as hard as it seems. However, it is important you understand the rules that govern the creation of hashtags. First you must not forget that a hashtag does not need to be too lengthy and you just make sure you choose something unique. If a search on twitter reveals that the hashtag you wish to use has been used in recent times, you must choose another that has not been used. Another very important tip you must not forget when it comes to how to create hashtag is that they must be related to your cause. There is nothing more to using a hashtag in a social post other than simply adding the hash sign (#) before a word or phrase with neither spaces nor punctuations. However, it is okay to make use of numbers. Avoid stringing a lot of words in one place using a single hashtag. Twitting with a hashtag on a public account will make your post visible to anyone who searches for that particular hashtag. Avoid spamming with hashtags Over-tagging one tweet will lead to spamming. Only use hashtags when the tweets are related to the topic. Creating and sending out a post that contains a hashtag can be quite simple, but, using it requires staying to the rules. Below are some tips on how to create a hashtag to make your posts relevant. Short: Conduct a search on twitter to see if the hashtag you want to use has already been used by someone else. If you discover it has recently been used, look for another hashtag. Unique: Don't forget you can only make use of 140 characters on twitter. This is where most part of the conversation will occur, so make sure your hashtag is short. Related: Your event should be reflected by your hashtag. For instance, a Constant Contact Holiday Planning Event (#Holiday), Small Business Week (#SBW2013). Memorable: You would want your attendees to make use of these hashtags when they talk about your upcoming event. This is because you would want them to easily remember the hashtag whenever they wish to talk about it without searching for it. Just like other marketing campaigns, if you do not promote it properly, it will be hard for anyone to hear about it. This also applies to your new hashtag. It is important you spend some time brainstorming on the right hashtag for your event or brand. Experiment with different hashtags before you decide on which one to use. You can choose a hashtag that contains the name of the event which makes it easy to be reused each year by merely changing the year in view. Organizing your tweet is not the only thing a hashtag can do for you. It can help you find your voice in a large conversation. Using multiple hashtags in a single tweet is quite ok, but make sure you don't overdo it. You can restrict it between 1 and 3 hashtags. How to create a hashtag? The next thing you must do is to check to see if the hashtag you have chosen is not already in use. You would want to start with a fresh hashtag since you want to build a new community around the hashtag. You wouldn't want to be found encroaching on the space of an already existing community. Run through the list you made while brainstorming and choose the one that you find most suitable and cool. Create awareness: Ensure you include your hashtag in every social promotion of your event. Listen: Use different social networking sites to track your hashtag to enable you thank the people who use your hashtag when making mention of the fact that they will be present during the event. Make sure you are visible: Ensure you create the hashtag for your chosen event on the page for registration, and invite your guests to join the conversation. Create conversations: Make use of certain programs such as tweetbeam.com to get the conversation projected on a screen. This will attract others to be part of the conversation during your event. Invite: Have every one of the speakers promote the hashtag and talk about the tweet beam stream. Join the conversation. Ensure you join your guests in using the hashtag. Get the hashtag retweeted and ask relevant questions. But avoid being too invasive. It is not the right platform for advertising your business. Create digital thank you cards: Now that you have a list of all engaged guests, take some time to appreciate them individually for finding the time to join your event. Keep the conversation going: Keep following the conversation until it dies down. The rate people will keep on talking about the event will surprise you. Keep on mentioning and retweeting the information your guests are sharing. Get multimedia from the event: Search for your hashtag on different social networks with programs like Storify to bring together the different networks, which will enable you to view the images and videos your guests shared concerning your event. An important thing we will look at is how to tag on Instagram. This is the second most important tip on how to tag on Instagram. Include a description or subject to each one of the pictures you post. Tagging every single word here is not the idea, but tagging the most important and relevant words. Searches for certain locations and areas remains some of the most popular Instagram searches, so make sure you tag where the shot was taken and not your present location. Include a comment about you under the photo you post to enable your readers know more about you. For instance: "# aboutme I love travelling, I enjoying #skiing, # diving and #food." It is a mistake for you to believe that you only have to make use of popular hashtags. We all know how using popular hashtags enables you come up in searches easily. However, if you are posting something in a popular category, it won't take long before your post disappears in the heaps of search engine results. Instead, including some less common hashtags will give your posts longer lifespan in the search engine results. Tagging your post notices with a variety of popular options will guarantee your post more visibility. Like I have mentioned, using about 30 hashtags in the caption of your post is unnecessary. If you are using that much, it shows you are either desperate or confused. Instead, try choosing about 5-10 unique hashtags for every one of your posts. Using about 12 or 15 hashtags can sometimes be justified. But, always try to keep it below 10. To make sure your followers can read your post easily, you can make the hashtag part of a sentence. 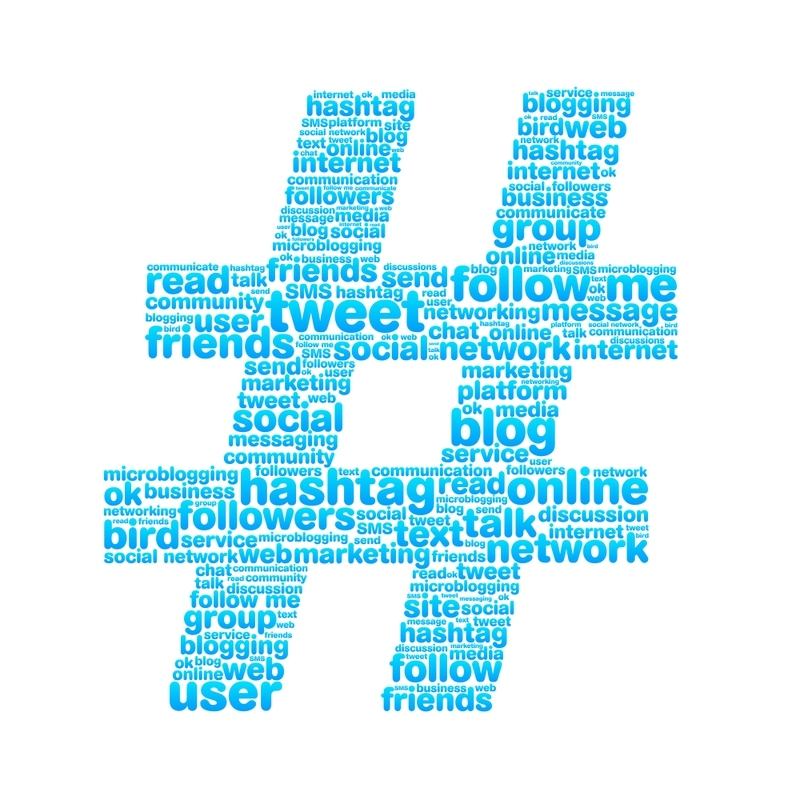 For instance: The #blog post for today focuses on the use of #hashtags in #socialmediamarketing.